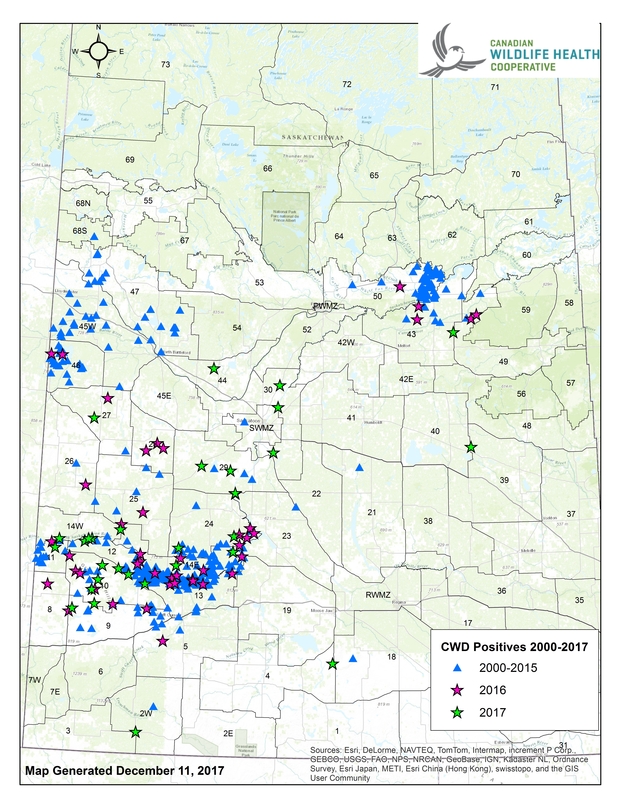 The CWHC Western and Northern Region is over half way through its 2017 CWD hunter surveillance sample collection and testing program and have already identified 3 new Wild Management Zones (WMZ 3, 44, 39) in Saskatchewan with the disease and increasing prevalence of the disease in many areas. The numbers of heads submitted for testing by hunters is up 54% this year, compared to last, but is still below target numbers. This is in spite of there being no cost associated with testing, an online tagging and tracking system, and more convenient options for submitting heads for testing. This disease is having, and will continue to have, a significant impact on big game hunting and cervid management in North America. CWD is a complex disease but hunters and the public need to become informed and participate in the debate on how best to manage this disease. Fortunately there are several sources of information such as the Chronic Wasting Disease Alliance website, and the CWHC website. The CBC’s “The Current” had a recent program on the issues surrounding CWD.